Pharma-Orange – Live Better, Be Better! Pharma-Orange was built under a passion to bring better live to the global citizens. When the CFDA issued the new drug policy in 2015, a know-how team in pharmaceutical industry start to build Orange. With over 15 years in the pharmaceutical industry, Orange knows how to get it right and where to go right lead by managing directors from top pharma company in the world. We manufacture the products with our own R&D as well as distributing value-added generics into China. 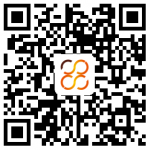 Orange is your best partner with it’s experienced team in registration/ distributing and marketing based in China. Pharma-Orange manufacturing special chemical & pharma intermediates related to our products line. We also develop new chemical material in our labs and produce them in our chemical facility. We are also working with contract manufacturing for special intermediates. Pharma-Orange produce it’s formulations as well as sourcing for generics matching with it’s distribution connections. We are a know-how company in China to be your best partner if any one want to enlarge their business in China.